State legislators overwhelming voted to approve a 7% salary hike for Louisiana sheriffs, who are already some of the highest-paid public employees. 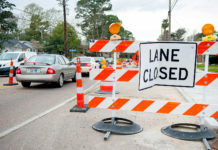 The Louisiana Legislature in recent years has become so consumed with trying to solve the state’s budget crisis that bills unrelated to those efforts can, at times, slide through with little notice or substantial debate. For instance, take House Bill 218—now Act 123—passed by the Legislature during the regular session and signed into law in May by Gov. John Bel Edwards. The bill establishes requirements for the Louisiana Sheriffs’ Certification Program and gives sheriffs a 7% pay raise for participating. Little was said about the pay raise as the bill sailed through both chambers. Instead, bill sponsors and the Louisiana Sheriffs’ Association framed the legislation as an effort to raise training and educational standards for sheriffs. 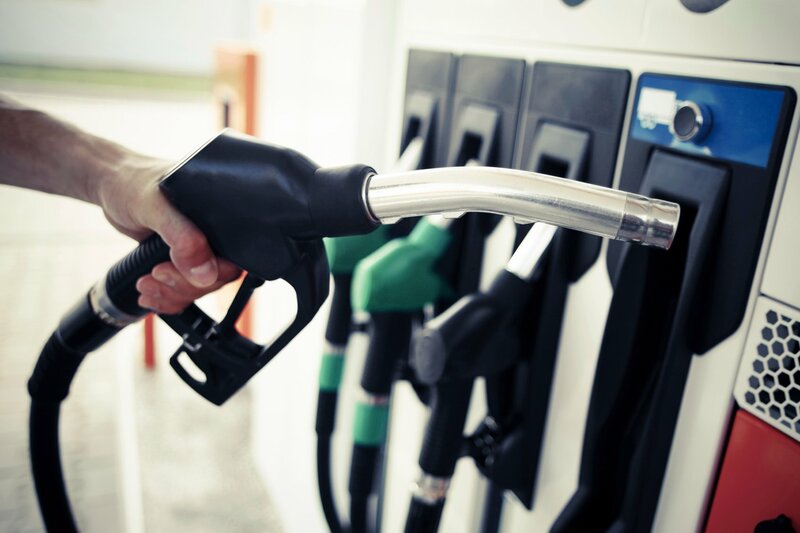 “It’s not about the money,” Michael Ranatza, executive director of the Louisiana Sheriffs’ Association, told the House Judiciary Committee in March. But a 7% salary hike for sheriffs—already among the highest-paid public officials in many parishes—is not insignificant. Moreover, this comes after sheriffs received automatic raises for five straight years, a move approved by the Legislature in 2013 and tied to pay hikes for state judges. The 7% boost will lift the average sheriff’s salary by $12,750 to a base of $172,911. Add in benefits and, according to a fiscal analysis by the legislative auditor, the average total salary jumps to $194,957. Given those steady raises, it’s unsurprising that sheriff salaries are rising faster than those of the people they protect and serve. While per capita personal income in East Baton Rouge Parish rose some 15% from 2009 to 2016, the salary of Sheriff Sid Gautreaux increased 20% over that same time frame. 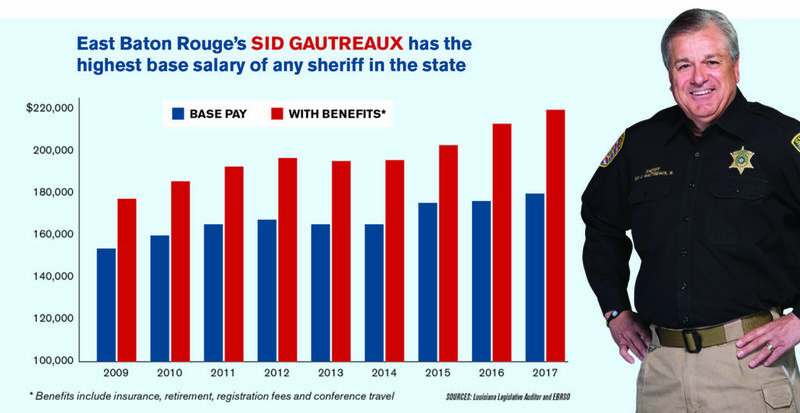 Gautreaux’s all-in compensation last year, including benefits, was $219,635, and his base salary of $179,277 was the highest of any sheriff in the state. Money, however, wasn’t the issue when the bill came up for debate on the Senate floor. 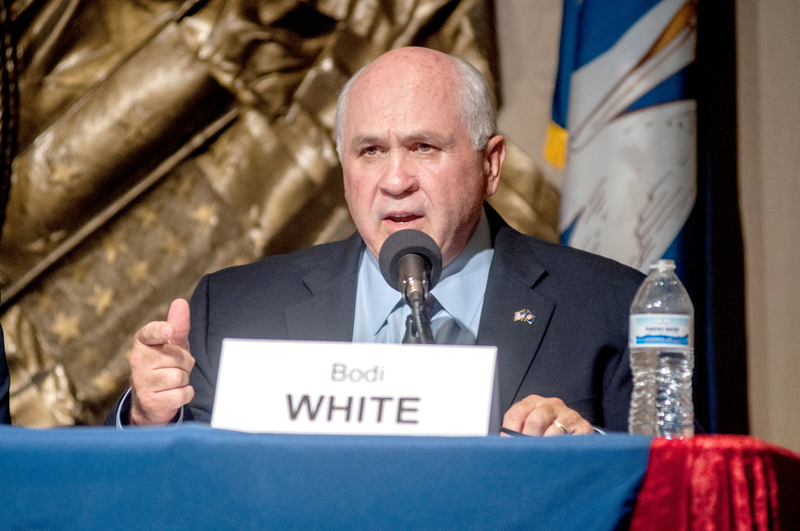 State Sen. Mack “Bodi” White, a Baton Rouge area Republican and co-sponsor of the bill, didn’t mention the salary hike, focusing his attention on the requirements necessary to be certified. 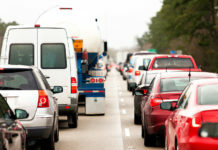 No lawmakers asked questions, and the Senate passed the bill 36-1. The House earlier approved the pay hike in a 79-9 vote. One of the few legislators to vote against the bill was state Rep. Jay Morris, R-Monroe, who says he couldn’t support pay raises at a time when the state is struggling with budget shortfalls and few others in the public or private sectors are seeing wage increases. Act 123 was the hallmark of LSA’s legislative package for 2018, Ranatza says. The goal of the Louisiana Sheriffs’ Certification Program and the pay raise, as a one-time incentive, is to establish professional standards for sheriffs and recognize experience. 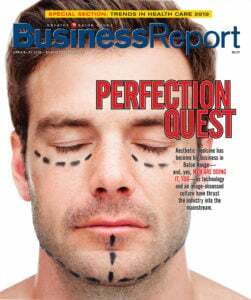 It also builds upon past efforts. In 2012, the LSA created the Louisiana Sheriffs’ Executive Management Institute, or LSEMI, which was successful in having all sheriffs continue their education. “In that vein, the Louisiana Sheriffs’ Certification Program is intended to complement the LSEMI and is a part of our continued efforts to strive to create programs that improve the role of sheriff and encourage our sheriffs to uphold the highest level of standards in their profession,” Ranatza says. To receive certification and the 7% raise, sheriffs must meet at least one of the requirements outlined in the bill, such as having certain degrees or 20 years experience in law enforcement or the military. The pay incentives take effect in 2020, so if sheriffs have already met of those qualifications, they must be re-elected before receiving the raise. Bill sponsor Rep. Katrina Jackson, D-Monroe, says she decided to author the bill when she learned how few qualifications are required to run for sheriff—although the same is true for most elected positions. Jackson agreed with LSA that more experience is needed for sheriffs. The bill was a bipartisan effort. 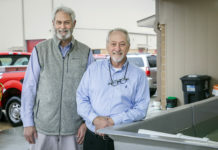 Sponsors included Democrats Jackson, Rep. Gary Carter and Rep. Randal Gaines; as well as Republicans including Rep. Chris Hazel, Rep. Valarie Hodges, Rep. Tanner Magee, Rep. Jerome Zeringue and White; and independent Rep. Joseph Marino. Although the raise has little impact on the state budget, the money still comes from state taxpayers’ wallets. Sheriffs receive the bulk of their funding from local taxes. East Baton Rouge Sheriff Sid Gautreaux’s office is funded mostly by a parishwide property tax. But much like the state, Gautreaux’s office has also dealt with budget issues over the years. The sheriff has in the past chosen to forgo pay raises when his office faces a funding shortage, says spokesperson Casey Rayborn Hicks. In 2013, for instance, the sheriff could not afford pay raises for his employees, so Gautreaux refused his own raise granted by the Legislature that year. 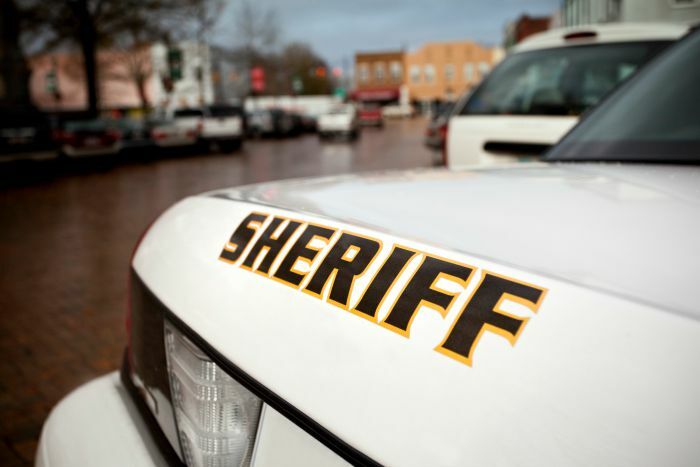 The sheriff has increased staff salaries substantially since his election in 2007, with starting pay up 40% for non-ranking clerical employees and 35% for deputies. EBRSO now has the fourth highest starting pay of law enforcement agencies in the state. Meanwhile, Gautreaux’s total annual salary has increased 24% since his first full fiscal year in office in 2009. He took home nearly $220,000 in total income, including benefits, in 2017, as one of the highest paid sheriffs in the state. The 7% raise included in Act 123 would bring his salary to $235,000 by 2020, although he could decide to refuse another raise. “The sheriff did say that if it passed, he will not accept an increase if it would be detrimental to the budget of the office,” Hicks says.